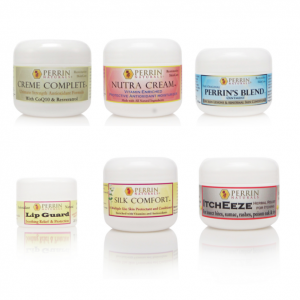 Nutra Cream™: a corrective moisturizing balm containing an array of vitamins and antioxidants. Designed as a nutritional skin therapy to revitalize and restore damaged areas of the face and body, the Nutra Cream™ also protects against dry and flakey skin. Creme Complete™: A corrective anti-aging formula for sun-damaged skin, rosacea, age spots, lichen sclerosus, abnormal skin tissue, and overall skin health. The Crème Complete™ is completely natural. 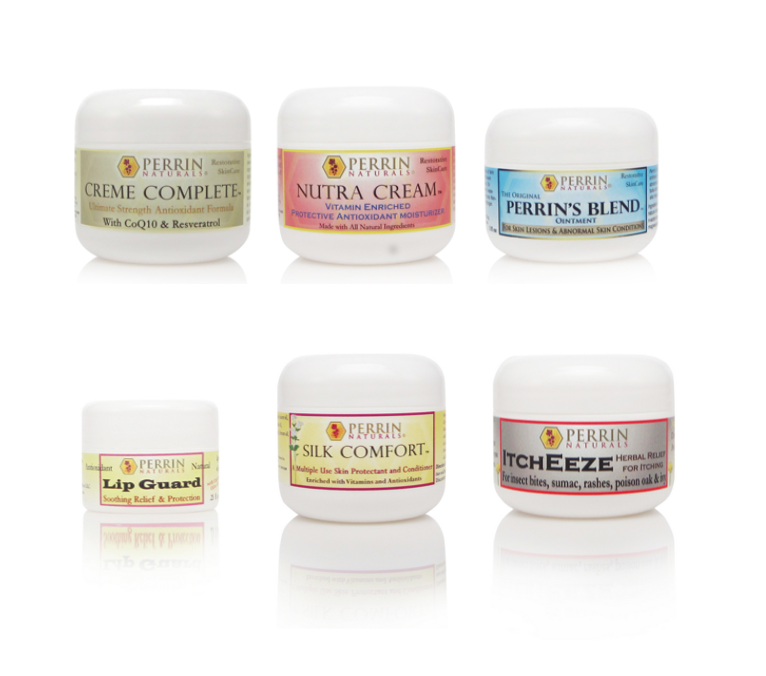 Perrin’s Blend™: An all natural ointment for skin lesions and abnormal skin growths. Contains 5 ingredients: Grape Seed Extract, Vitamin C, N-Acetyl Cysteine (an amino acid derivative), Alpha Lipoic Acid (a powerful antioxidant), and Vitamin E.
Lip Guard™A vitamin and antioxidant enriched lip balm to beautify, soften, and soothe your lips with antioxidant protection. This revitalizing lip balm is enhanced with the grape seed extract and vitamins E, A, & D. The Lip Guard protects and moisturizes while also fighting UV damage. Silk Comfort™ While protecting and revitalizing the skin with a carefully crafted combination of oils and beeswax, enriched with the anti-aging antioxidants of Alpha Lipoic Acid and CoQ10, this multipurpose product can be used in a variety of ways. ItchEeze™An herbal salve for minor irritation and itching, this herbal salve is formulated to relieve minor irritation and inflammation associated with insect bites, hives, sumac, poison oak, and ivy and other minor irritations. 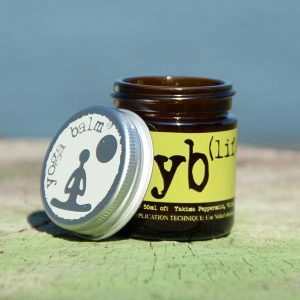 IT infuses wild-crafted plantain, organic yellow dock root, and organic dandelion root with organic castor oil, organic extra virgin olive oil, and beeswax.